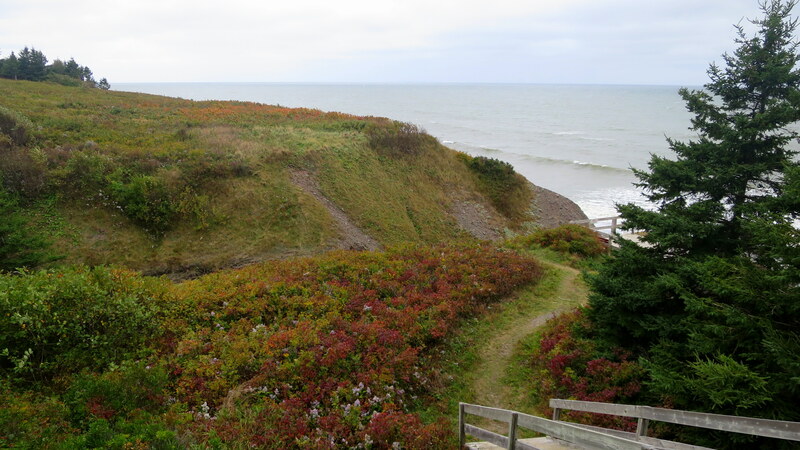 Only a couple days after I had been walking around in a tank top and shorts on Brier Island, autumn arrived. I had begun making my way north but was still taken aback by the almost 40 degree temperature difference brought on by a passing storm. 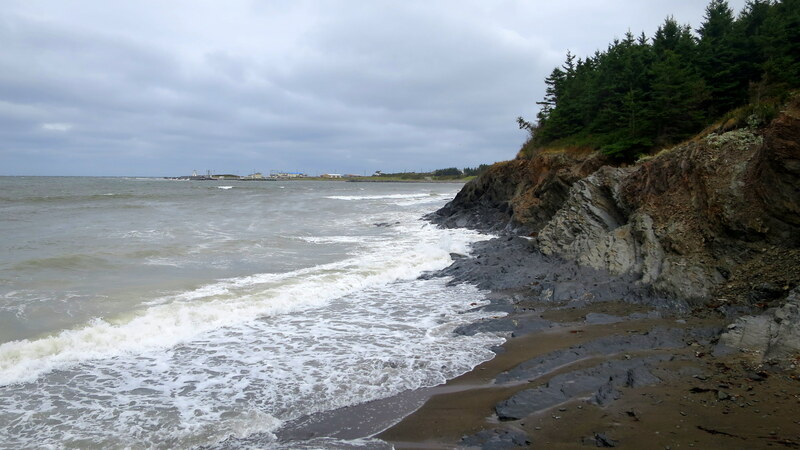 My next stop was Arisaig Provincial Park on the Northumberland Strait, noteworthy for its fossils of sea-dwelling organisms dating to before land became hospitable place to live. 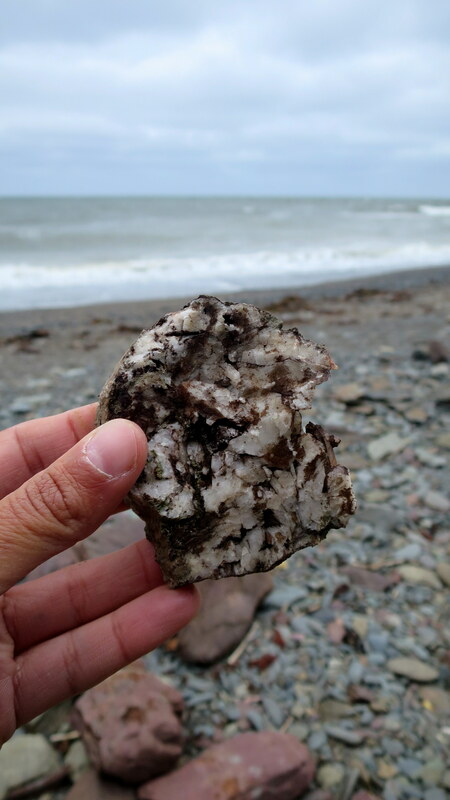 The rocks here generally twice as old as those seen around the Bay of Fundy, mostly Silurian-age that are around 430 million years old. 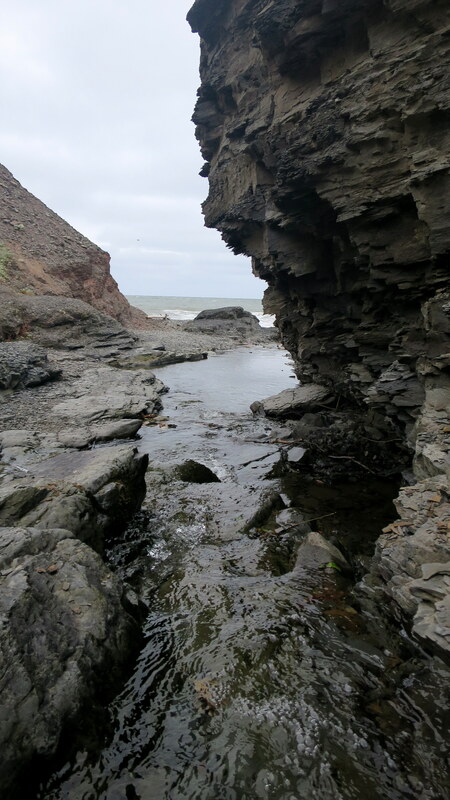 Fossils such as brachiopods, bryozoans, and more are commonly found here – though not by me. My arrival unfortunately coincided with high tide which prohibited the exploring of the cliffs. 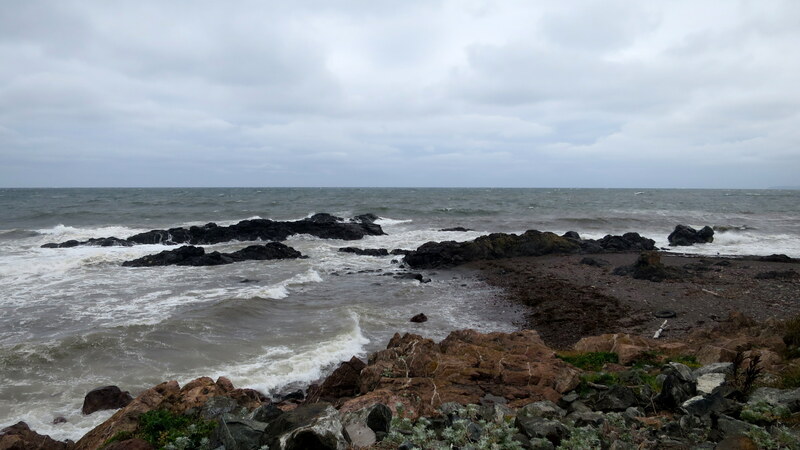 I did poke around the little patch of beach that was left exposed near where the Arisaig Brook flows into the Northumberland Strait however. 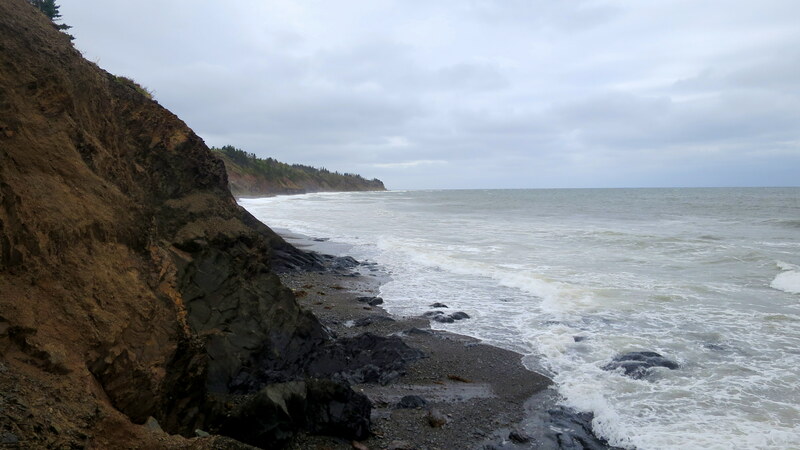 After I had exhausted exploring what little of the beach was left exposed, I walked on the short trails for about an hour, doubling back a few times just to stretch my legs. Leaving the Provincial Park I took the road down to the wharf, tucked just inside the breakwater of Arisaig Point. 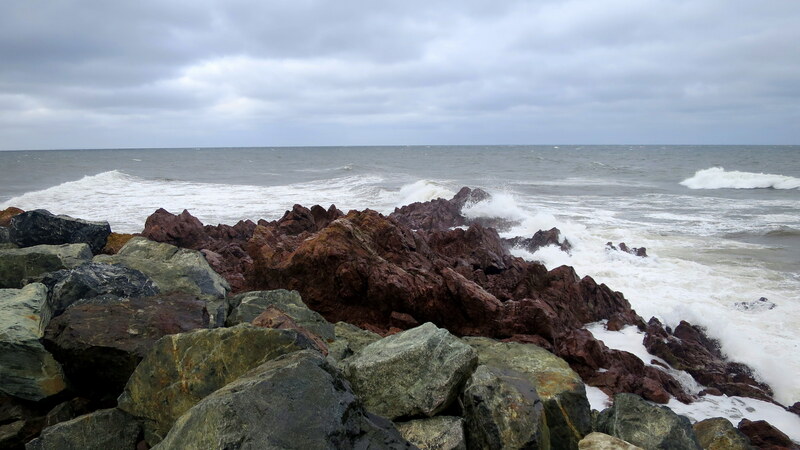 Unprotected from the fury of the Northumberland Strait, the point was being battered by heavy surf and high winds that day which prevented me from checking out the older Ordovician basalts and rhyolites but the view was still worth a stop. Beautiful! 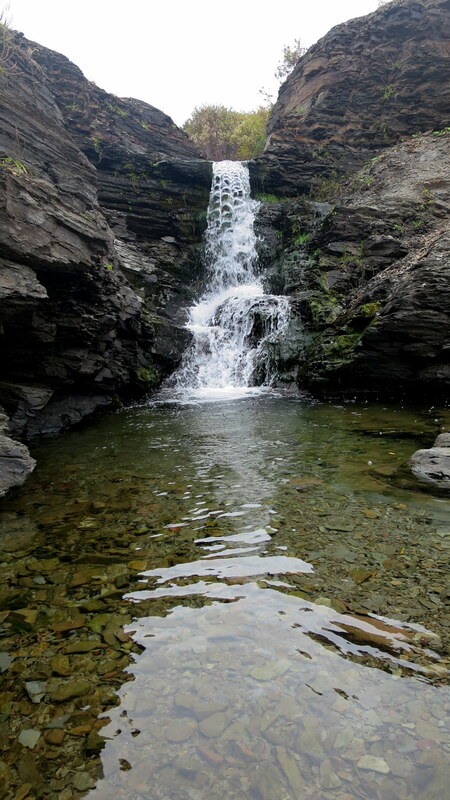 I need to add this to my list of places to visit when I next travel to Nova Scotia. 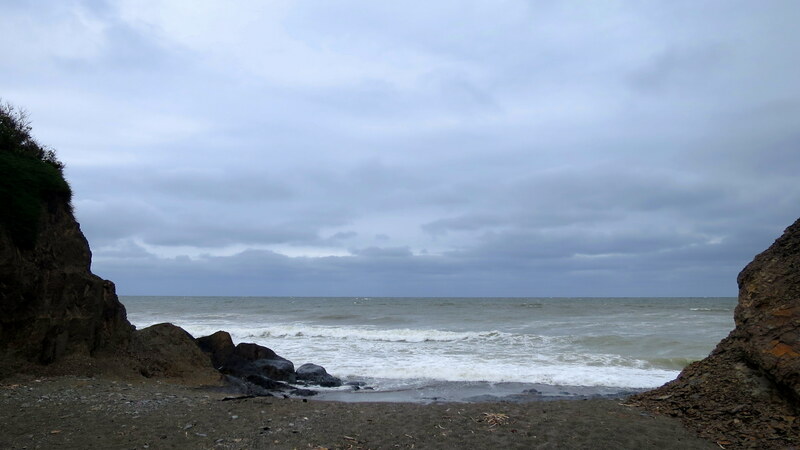 I recommend it – but would advise you to check the tide charts so you don’t end up making the same mistake as I did and not be able to see the cliffs!